Check out our Twitter page for real time pictures and comments from teachers! I am writing to say a huge thank you for making our school trip such a success today. The children, parents and staff thoroughly enjoyed the visit and came back to school inspired. We found all the activities to be really well organised and the children loved the hands on approach that kept them busy at all times. I would also like to thank the staff for providing us with sandwiches that had been accidentally left at school. This was very much appreciated! I would not hesitate to recommend Underwater Street to colleagues looking for a school trip that gives their children the opportunity to be creative and active learners in a safe and well organised environment. On Friday 12th June Reception went on a trip to Underwater Street in Liverpool. We had a fantastic, fun-filled day making slime, bath bombs, magnets, boats and cars. All the children and staff had a brilliant time and want to return again soon. On behalf of children and staff of Hindley Green Saint Johns who visited you today a big thank you! Click here for picture's of Offley's trip. We have had a fabulous trip today to Underwater Street. We have taken part in lots of exciting activities such as climbing up a climbing wall, making water powered boats, magnets, bags, using the role play areas and so much more! Excellent feedback from our parents today! You will be seeing us again!! 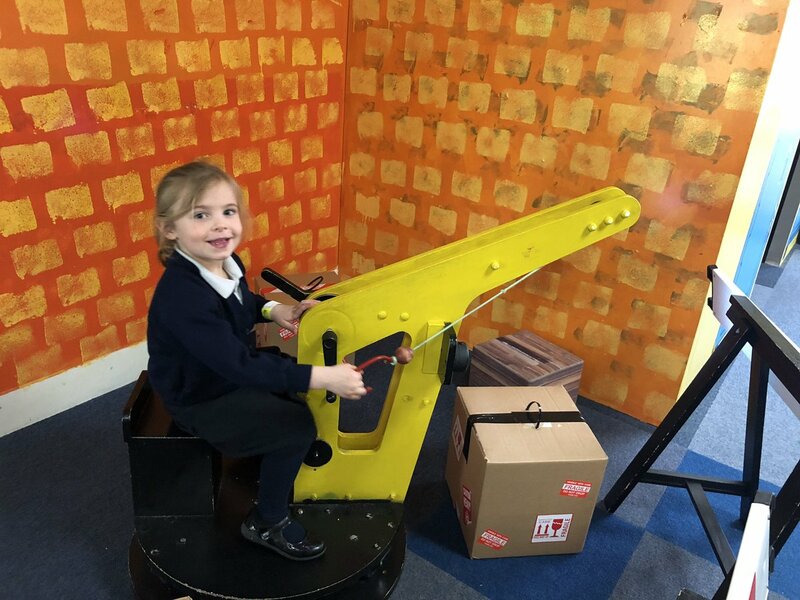 Reception had a very busy Autumn term.We got to go on our first trip at school! We went to ‘Underwater Street’ in Liverpool. We got to watch a science show and investigate different materials.Lots of us enjoyed the numerous Christmas craft activities there, making baubles, reindeer food, reindeer bags, cookies and many more. Whilst at Underwater Street a special visitor was there too, who gave us a special message and present too! There was lots more activities at Underwater Street look at our photos to see the amazing day out we had. Year one enjoyed a trip to Underwater Street where they took part in lots and lots of different activities. These included watching a science show with an exploding volcano, working in the Physical Zone where they played on the climbing wall as well as dressing up and making things. 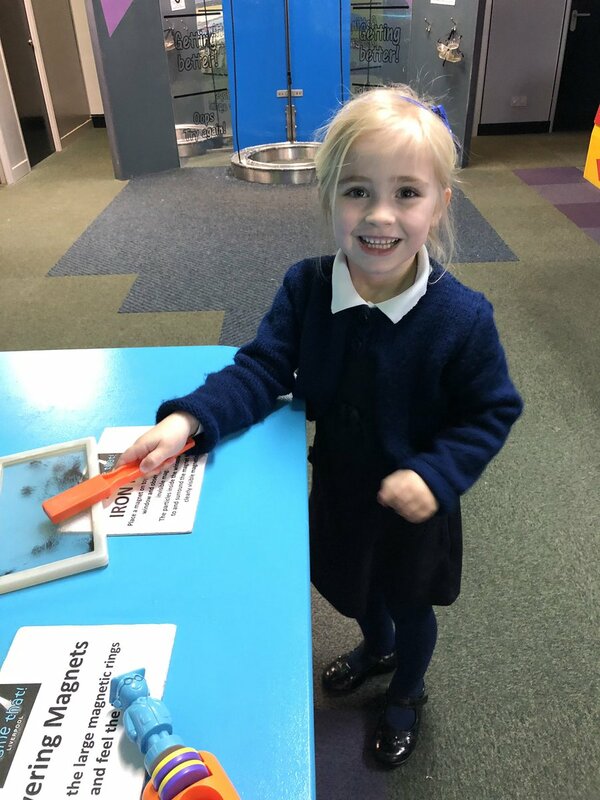 Last week year 1 went on a trip to Underwater Street Discovery Centre in Liverpool. The children thought it was brilliant! We made water powed boats, pirate hats, fishing games, flowers and magnets. We were able to climb to the top of a climbing wall but some of us found it difficult to get down. There was also a building area where we could build a house. Logan built it all on his own. We loved the science show where we carried out lots of experiments. In one we made a water rocket and it soaked everyone, including the teachers! The children in F2 enjoyed a day out at Underwater Street in Liverpool. There were so many exciting things to do including panning for gold, climbing up the climbing wall, science experiments and huge role play areas to play in. We rounded off the day by enjoying ice-cream (in the rain!) on the waterfront overlooking the River Mersey. We had a fantastic time visiting Underwater Street. We enjoyed role playing, climbing walls, scientific activities, crafts and much much more!!! A great time was had by all when we visited Underwater Street in Liverpool. We had fun exploring the climbing wall, playing in the pizza parlour and painting a real car. Most of us took home something we had made, like, a magnet, fishing game and balloon powered car. During the afternoon we took part in a science investigation making exploding volcanoes and rockets. On Thursday 18th October Reception visited Underwater Street. We had lots of fun making magnets, princess hats and cup telephones. We watched some exciting science experiments making lava and a rocket! We enjoyed exploring all the different areas including dressing up, water play and painting. Some of us even stood inside a bubble! The Bears have had an amazing day at Underwater Street. 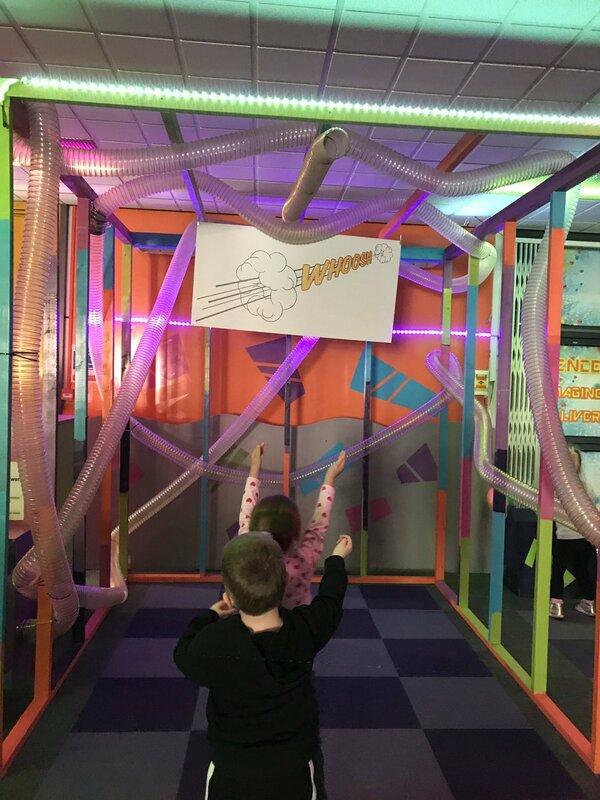 They loved watching the volcano experiment in the Science Show and standing inside a lifesize bubble.The enjoyed exploring all the zones including roleplay, creative to construction areas. They really have been hands on all day!!!! I came to Underwater St with my schoolchildren last week and they (and I) had a fabulous day. There wasn't a dull moment and each child found many things that they enjoyed and were interested in. An excellent venue for schools and I am going with some family members during the school break. Thank you to you and all your staff for a wonderful day. Just a short note to say thank you to everyone at Underwater Street for making our visit so much fun on Friday. The children had a fantastic day. On a personal note, I am a PGCE student at Liverpool John Moores University in my final teaching practice. One of my university tasks was to organise a school trip, which is quite daunting. Several of my friends on the course recommended Underwater Street. I would like to express my personal thanks to every member of staff at Underwater Street for making a potentially stressful process a very easy and enjoyable experience. I would certainly recommend Underwater Street for school visits, (and intend to bring my future classes on a regular basis), but particularly for students organising their first school trip. Just wanted to say a big THANK YOU to you and all your staff for making our class educational visit so much fun and so successful. You and your staff have been very helpful and ensured our trip went smoothly and event free! The children really enjoyed the day and your staff were very friendly and approachable. 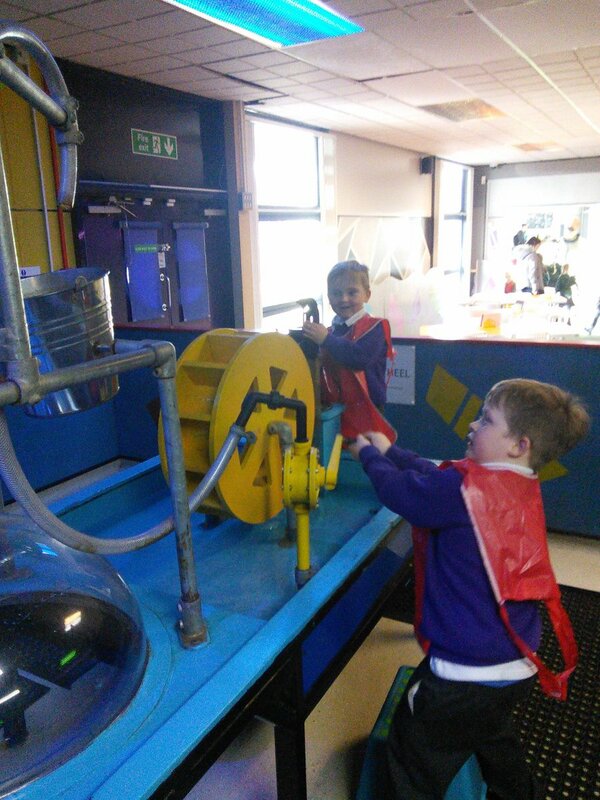 On Friday 9th March, Year 1 went on a trip to Underwater Street, Liverpool, a hands on learning environment. A fantastic day was had by all – definitely somewhere to visit again. Click here for pictures and details of Leamington's visit. Our reception and key stage 1 children went on an adventure today when they all visited Underwater street in Liverpool. This was a special full day session, just for our children who all thoroughly enjoyed the day and represented Larkfield so well by behaving beautifully. Judging by the stories they all had to tell when they returned to school it was clearly a packed day and I think the children [and helpers] will sleep well tonight! All the children in Year 2 had a fantastic time at Underwater Street! They had lots of fun climbing, playing, creating and exploring all the different pirate themed activities. They also really enjoyed the science show and quiz! Hi, Just a follow up email to say that we ( my class and teachers!) had a fantastic time today at Underwater Street. The activities and resources were educational, enjoyable and kept the children entertained. Can I also say how fantastic and helpful all members of staff were. We will definitely be recommending you and hope to return again ourselves! We are writing form St Teresa's to say a big THANK YOU. Year 3 had aFANTASTIC time with you on Friday 15th of July. All your members of staff looked after the children and ensured they had an "amazing" time. We wanted to sy thank you for such a fantastic day and we have enclosed some letters of thanks. Just to say thanks for a worry free visit today!What an inspired place to bring groups of children.Safe,huge variety of activities,well supervised.Our small group mingled with a several other schools with all the children occupied at all times!Unbelievable!I have organised many trips in my 40 years as a teacher and today was so stress free.It will get my highest recommendation.Thank you from the parents and children from Bidston Village Primary School. Dear staff at Underwater Street, my class of Reception loved their day at Underwater Street and were very excited to write letters thanking you for their experience. They were enthused for days and recreated lots of things they did at your centre in school-our water tray became a gold panning extravaganza with pieces of play dough serving as gold! Our Nursery and Reception were similarly impressed! I wanted to say thank you for the stress free trip and congratulate you on creating a fantastic exploration based play facility for little ones. I hpe you enjoy reading the letters and look forward to my next visit. Thanks again, Miss Smith and Reception at West Bank Primary School, Widnes. After visiting Underwater Street today with our Year 2 classes, we justwanted to say a huge thank you to all the staff. We had a fantastic day. The children especially loved the Science show, the climbing wall and dressing up/role play. It was by far the best, most memorable school trip I have ever experienced ~ and the staff loved the making magnets !! the children were 'independent learners' ~ exploring all areas! The day went so quickly, it's hard to believe we spent 4 hours with you!! Thankyou once again ~ a memorable experience! Thank you for another great visit to Underwater Street. 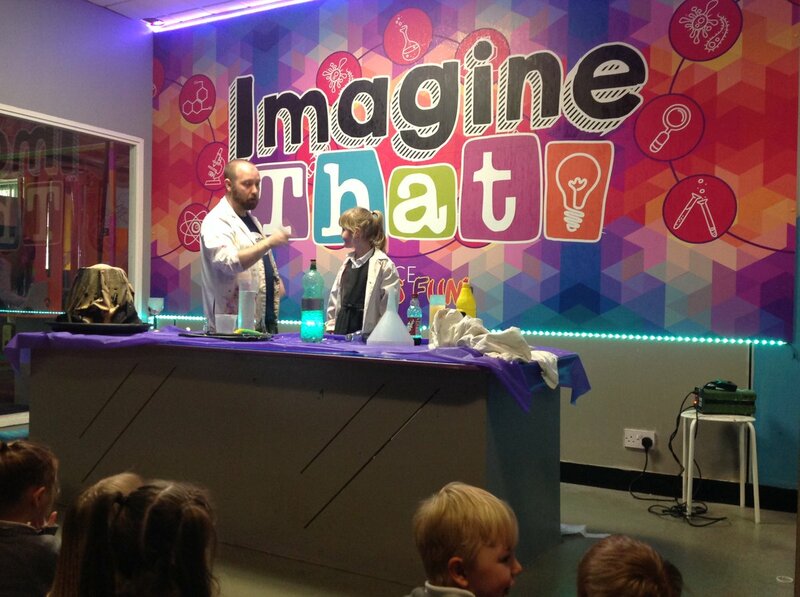 The children had a fantastic time and especially enjoyed the science show. We had a fantastic time at Underwater Street. Come and look at the photographs showing all the exciting activities we undertook on our visit. The climbing wall, role play areas and art tables were very popular! We watched a volcano explode during a science show and investigated dark rooms and had under the sea adventures! Wow! Thank you for such an enjoyable visit on Thursday 12th November. .The children had a superb day and were very enthusiastic about the trip. It was one of the most memorable trips I have ever taken children on. Hi, Just wanted to say a huge "Thankyou" to everybody at Underwater Street for once again making our Reception class trip to Underwater Street so FUN packed and enjoyable! This is the second year running that we have visited the centre and each time the day has been enjoyed by all. Staff feel relaxed knowing that children are secure within the building (safety buttons on doors) and children are free to roam and enjoy each of the areas at their own pace. The activities on offer were once again FUN and well-organised and the staff at each of the areas were so friendly and helpful, making our children feel comfortable and relaxed when they wanted to do an activity. The Science lab show was wonderful. We did not see this the previous year but we hope that next year this will be on offer again. The children were amazed by the erupting volcano and the bottle cork shooting out of a pop bottle. Just thought that it would be nice to e-mail you, to let you know that the trip was PERFECT in every way and we will return each year! Our Reception class came for a visit for the very first time today (12.06.09) and we all had a fabulous time. From the warm and friendly welcome, on arrival and throughout the day, the girls were utterley absorbed and involved in all that was on offer. The organisation was superb, we really appreciated the way that the things the children made were organised ready for us to take home. It was a delight to see the girls faces as some of them overcame the challenge of the climbing wall, whilst others busied themselves in the Pizzeria.And they were amazed at the chance to paint a real car! Just wanted to thank you for a fantastic day out. My 28 year 1 children had the best day, they were exhausted and enthused all at the same time! Our Big Write work the following day was about our trip and they all wrote about their favourite part, with over 15 different activities mentioned. From my own point of view I was very impressed for the entire day, the safety aspects of all the activities, the fact the children could move round freely and that they could actually reach the toilets! (something often overlooked) Could you thank all your staff who were kind, enthusiastic, patient and excellent at their jobs. We will be recommending you to everybody, and I will be bringing my daughter and her cousins as soon as possible. Thank you again for fitting us in at fairly short notice and providing such an excellent and much need child friendly, value for money, hands on, local experience. We all loved it. Debbie Randles. Year One teacher, Portland Primary School, Birkenhead. Just a quick e-mail to thank you and your staff for a wonderful day out. It was really worth the long journey. The children were so full of themselves and eager to tell us about everything they had done. (A rare thing for us)! At my next co-ordinators meeting I shall certainly recommend you to all the schools in the Bradford/Keighley area. Once again thank you for giving us all a great day and loads of motivation. ....the Reception children had a fantastic day at Underwater Street in Liverpool. There were lots of exciting things to do--they went inside a giant bubble, filmed themselves for a TV programme, worked on a construction site, served pizza in a pizza parlour, panned for gold, climbed the climbing wall. They even painted a real mini! Underwater Street is a place that promotes learning through discovery and thus promotes self esteem. It is a great place to visit. We would like to thank you all for making our day at Underwater Street so enjoyable, the children all enjoyed the day and had a fantastic time (letters from the children are enclosed). From our staff's point of view it was a relaxing day as we didn’t have to worry about where the children where and toileting facilities. Inside Underwater Street we knew the children were safe therefore staff enjoyed the day as much as the children. Thank you all, once again for a wonderful day. We know a lot of the children will visit again and have spoken of having their parties at Underwater Street. Last week the children from St Albert's Primary School came to Underwater Street for a visit. We would like to thank you for making our day such fun. We all had a really wonderful time, it was one of the best days out we have had. We really appreciate your kindness to the children and we have recommended Underwater Street as a fantastic day out to all the children and staff back at school. The facilities, and activities available are wonderful, being both educational and great fun for the children and the day ended with some very happy (if not tired) customers, so thank you once again for a super day out. I am just writing a quick e-mail to say thanks, the children from our school and children’s centre nursery (Mathew Arnold) thoroughly enjoyed their visit to Underwater Street on Monday. Pease pass on our thanks to the rest of the staff there. They were all very friendly and helpful. We found the visit to be enjoyable, exciting and educational and we were able to let the children wander around safely! We will certainly be recommending Underwater Street to others. Underwater Street is exactly as a classroom should be. It covers all aspects of the foundation phase. 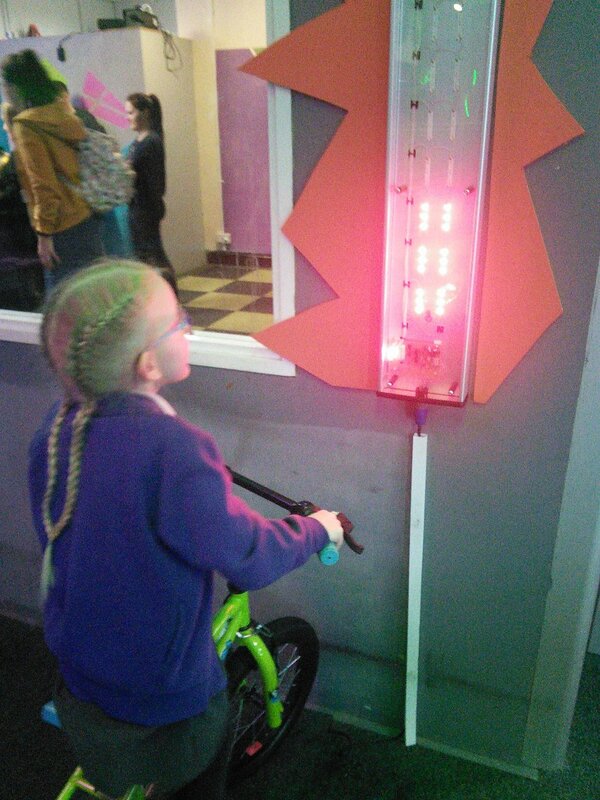 This was our second visit and staff and children thoroughly enjoyed themselves. Hiya - I just wanted to say a BIG thank you for the day we had at Underwater Street and for replying to all my panicked emails! The children really enjoyed themselves and so did the adults! All of the areas kept the children engrossed and they were full of enthusiasm when they got back to their parents to explain what a brilliant time they had. I am sorry I havent been in touch sooner! thanks again - see you next year! Thank you for our trip on Wednesday 20th February 2008. We had a brilliant time at your museum.The things we liked best were the ball pit, the climbing wall, the tunnel, dressing up (especially as a dragon, princess and a queen), shadows, shooting the balls, panning for gold, the dog grooming parlour and painting the car. We also liked making things. Even though it took us a long time to get there, we loved it and can’t wait to go again. The Foundation Stage at . Mrs. Smith, Mrs. Tomkinson, Mrs. Robinson. Mrs. Adshead. Mrs. Higginbotham, Mr. Benvie and all the other helpers. Copyright © 2019 Imagine That. All Rights Reserved. We are loving our time at Imagine That. It is SO much fun!